The world’s leading Bentonite-Geotextile Waterproofing System. More than 50 years of proven performance. Designed for both vertical and horizontal foundation surfaces, VOLTEX incorporates the high-swelling and self-sealing properties of VOLCLAY® sodium bentonite to form a monolithic, low permeable membrane to protect the structure from water ingress. VOLTEX contains zero VOCs and can be installed on green concrete in almost any weather condition. VOLTEX is ideal for waterproofing under slabs and property line applications. Under slabs, VOLTEX can be installed directly over a properly prepared substrate without the need of a concrete mud slab. Its durable composite construction resists damage from tradesman installing reinforcing steel over it and inclement weather. With the durability of the needle-punched composite and the ability to self-heal, VOLTEX offers major construction advantages over adhered sheet membrane and fluid applied waterproofing. For property line applications, VOLTEX is simply installed directly to the retention wall and then the concrete is poured directly against it using a single sided form. Other applications include backfilled concrete foundation walls and cut-and-cover tunnels. More than 50 years of proven performance has made VOLTEX the world’s leading Bentonite-Geotextile Waterproofing System. 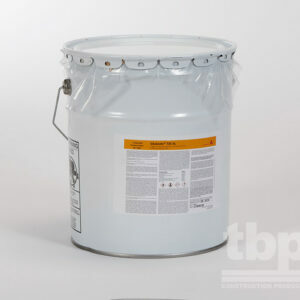 Can self-seal small cracks while forming watertight laps at the seams. Proven effective in structures under continuous or intermittent hydrostatic pressure—up to 70m (231 ft). Overlapping seams with mechanical fasteners eliminates installation variables in the field. Its durable composite construction eliminates the need for a mud slab. Can be installed in virtually any weather condition, including freezing temperatures and damp conditions. 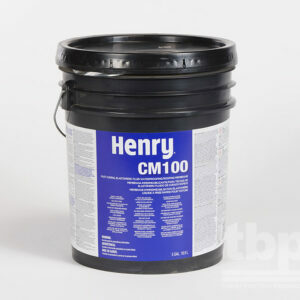 Can be installed on green concrete without primers or adhesives. Proven effective in both vertical and horizontal applications—i.e., backfilled and property-line walls.